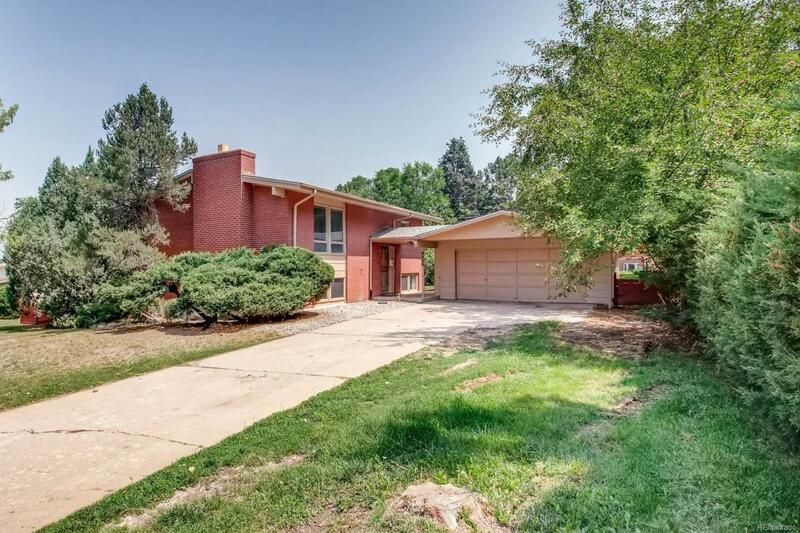 Welcome home to this beautiful and rare home in a coveted Littleton neighborhood with NO HOA! This home is minutes to Chatfield, South Platte Park, shopping, and light rail. Easy access to great parks, open space, and walking/biking paths and trails. Easy access to C470. GREAT schools! This large lot is over a quarter acre with RV parking on the side of the house. Cherry on the top? The basement is full, walk-out and FULLY independent from the top floor making this an excellent RENTAL OPPORTUNITY or have extra space for that family that might need to live in-house! Full kitchenette with 2 beds and full bath in basement and washer/dryer hookup. The back yard is spacious and while the inside needs a remodel in the kitchen, the price factors all of this in. See what you can have with a little sweat equity and build your investment that can last a lifetime! Two homes in one! Newer paint, open kitchen space and beautiful hardwood floors make this an easy choice! Schedule your showing TODAY!